Sheds Online has a shed for your every need. Whether you the home handy man, back yard pro or in charge of a company looking to expand your business. We have you covered. 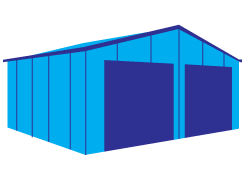 All our sheds come engineered approved, manufactured with Australian made steels and built to last. With our nation-wide back up, you cannot go past Sheds Online. Â WHEN BUILDING A SHED…. WE ENSURE…..
Our domestic range of sheds cover your every need. 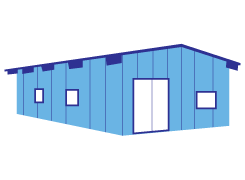 With a wide range of colours and sizes, we can custom design a shed to suit your requirements. The height, span, length and bay size are available in increments as small as 10mm. Our sheds have the most optional extras on the market such as cyclone proof tempered glass windows and sliding glass doors and super strong embedded 5mm U brackets holding your shed down to the concrete to comply to any cyclone rating. A construction manual is available for the handy home DIYer. 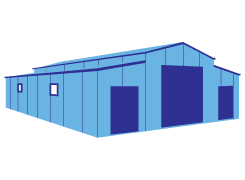 Our large and diverse range of rural sheds can be designed to your specific needs. 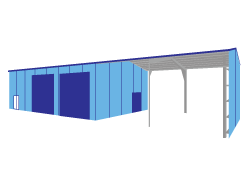 With open or closed sides, extra high eve heights, large spans and lengths you can design a shed that has no limitations. With portal frame material ranging up to C 400, what every your desire is, it is no trouble for our engineering team. Extra bolts, braces and brackets are used though out our sheds to produce a strong modern look. 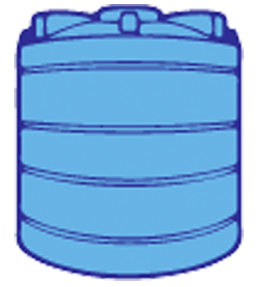 Built strong and tough for heavy industry standards to any size required. With either a full metal frame, a stud frame out to accommodate offices and amenities or with a brick facade and rating approved mezzanine floors. 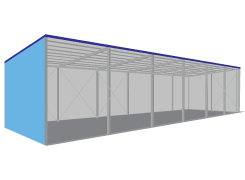 Whatever your requirement, we can design and erect an Industrial shed big enough or small enough for your business needs. Our user friendly liveable sheds are designed to a high standard. Heavier duty products such as cyclone rated tempered glass and fixings are used to comply with the strictest council regulations. 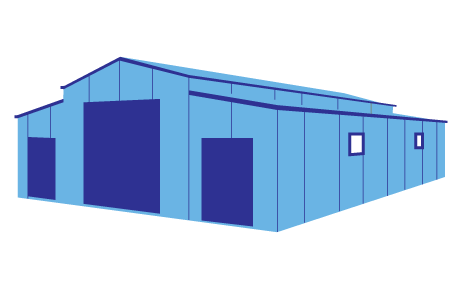 Designed and made in Australia, all our sheds have the most optional extras on the market, with all our plates and brackets consisting of extra blots for extra strength. A construction manual is available for the handy home. 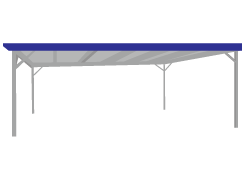 Protect your toys from the elements with a Sheds Online carport. Designs ranging from Skillion roof, Gable roof or Dutch Gable roof to blend in with your existing house or shed. Choose your heights, widths, lengths, pole configuration and colours for ease of use and a modern look. A construction manual is available for the handy home DIYer. 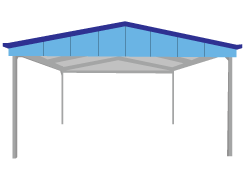 Our Sheds Online Awnings and Patios come in an array of designs to suit any environment. Skillion roof, Gable roof or Dutch Gable roof styles are all available. Any colour and finish can be used for maximum street appeal or optimal entertaining. Garden sheds are prefect for the smaller backyard where yard equipment needs to be kept out of the elements. Colours and sizes are available to accommodate your requirements. Construction manuals are available for the handy home DIYer. Be the envy of your mates with a Sheds Online American Barn. Fully customised to your specific needs or a basic design that is functional and strong with a modern look. Easy to construct using Australia’s best materials in any colour. 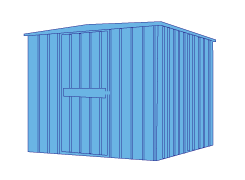 With increments as small as 10mm on all sizes we can customise your shed at no extra costs with our software.